I took this on a mid-day flight to Boston yesterday. The visibility was not great and zooming through an airplane window never produces quality optics, but I’ll post it here nonetheless. 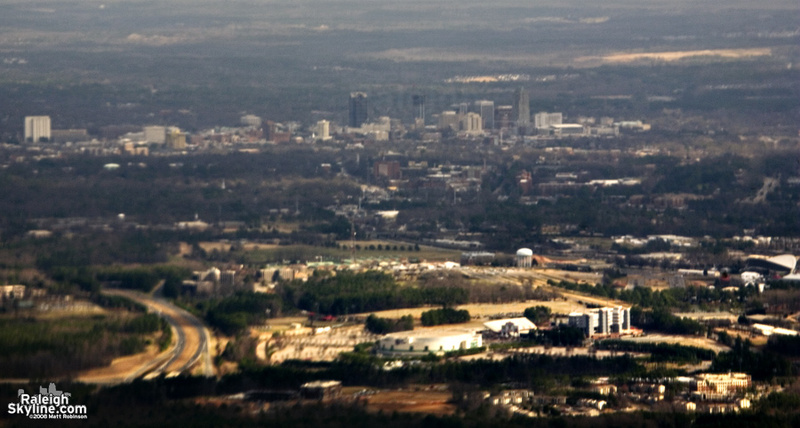 The RBC Center and Carter-Finley Stadium can be seen in the foreground, NCSU campus mid distance, and one can make out the RBC Plaza, West at North projects, etc.